German scene mainstay ‘Oliver Koletzki’ returns to Aus for first time in two years! If the ‘underground’ was still a thing you can bet that Oliver Koletzki would be considered one of its main flag bearers. It’s been almost 14 years since the German stormed onto the global scene with his huge techno bomb ‘Der Mückenschwarm’, one of 2005’s biggest dance floor tracks. Since then he has gone on to release on the scene’s most respectable labels including Hell Yeah and Kling Klong. He is also the man behind the highly popular Still For Talent imprint, a label which has become synonymous with smooth, dancefloor-friendly melodic techno. Koltetzki can easily lay claim to being a veteran, and he has graced every global stage worth its salt, especially carving a name for himself frequenting some of the globe’s biggest festivals including Lollapalooza in Germany, Awakenings in Netherlands and Lighthouse in Croatia. It’s been close to two years since Koletzki last played in Australia at the inaugural Pitch Music & Arts festival in 2017, for many one of the sets of the festival. Koletzki’s sounds are tailor-made for Australian audiences, and his return has been a highly requested one. ‘I am O.K.’ reads the name of the new album of the Berlin-based producer, DJ and label owner Oliver Koletzki. The title’s ambiguity is, of course, deliberate: there’s a deeper meaning hidden behind the humorous facade that is Chrisse Kunst’s hand-drawn cover, which depicts an unadorned thirteen-year-old Oliver sporting nerd glasses and a striped jumper: I am Oliver Koletzki, raw and authentic. Because, for his fifth studio album, Oliver Koletzki musically looks towards the unaffected freshness of back in the day, and thus, consciously returns to his roots. Back then, everything starts with an old C64 and his first hip-hop beats. Oliver Koletzki quickly discovers a love for electronic sounds, which he produces on one of the first Atari ST computers. At the age of eighteen, he initially plays records in his hometown of Brunswick, quickly becoming an in-demand DJ of the local scene. In 2000, he then decides to move to Berlin in order to turn his passion into a career – and, of course, to immerse himself in the city’s excessive nightlife. The first steps are always the hardest though, and Oliver Koletzki has to practise patience for a few years and wait for his breakthrough. In 2005, the superstar-DJ Sven Väth comes across a self-pressed white-label vinyl: Oliver Koletzki’s ‘Der Mückenschwarm’. Convinced by track’s incredible potential, Väth pushes for an official release via his Cocoon imprint. The critical and consumer resonance is definitive – Oliver Koletzki is the man of the hour. The readers of Groove Magazine vote him Newcomer of the Year. Gigs in renowned European clubs and a residency at the infamous Bar 25 follow, while ‘Get Wasted’, his debut album, strengthens Oliver Koletzki’s position in the scene. 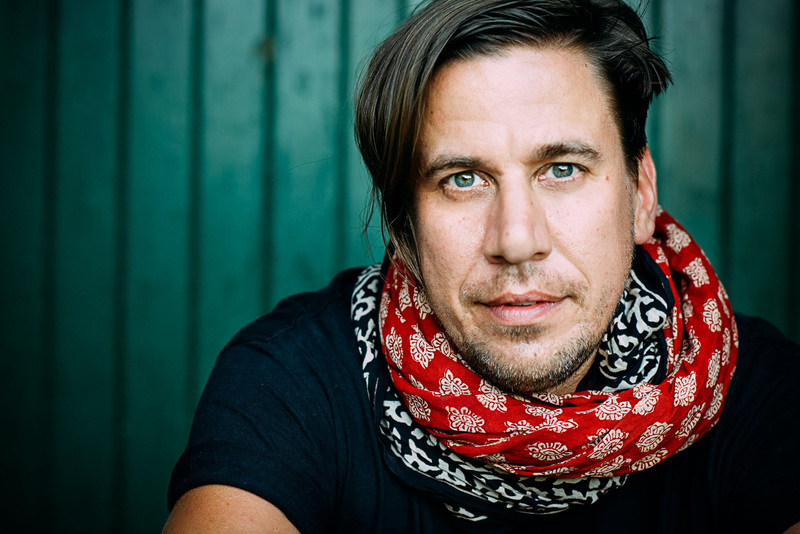 After numerous EPs, Oliver Koletzki’s second long-player, ‘Großstadtmärchen’, is released in 2009. Here, he bedazzles with collaborations with various vocalists, such as MIA’s Mietze Katz or the Bundesvision Song Contest winner Axel Bosse, and he thus showcases a hidden pop sensibility without losing sight of the underground. While ‘Lovestoned’, a declaration of love pressed on CD, is already in the making, ‘Hypnotized’ by Oliver Koletzki and Fran snowballs into a radio hit overnight. His already impressive DJ-schedule suddenly overflows with live-gigs, whether together with Fran or as The Koletzkis, Oliver’s band of five, which enables him to perform his highly musical tracks true to the original material. The following years Oliver Koletzki travels to 211 cities in 39 countries. Next to exotic gigs at Thaibreak, the Rainbow Serpent Festival in Australia, or D-Edge in Brazil, he plays at Europe’s most important festivals such as Timewarp, Rock am Ring, ADE and MELT!. In 2012, it’s time for the studio: ‘Großstatmärchen 2’ mirrors the concept and success of its predecessor. Alongside his own success, Oliver Koletzki’s label Stil vor Talent, which he founded in 2006, is continuously growing. What initially started as a platform for his own productions, developed into a stepping-stone for young newcomer talents. Acts such as H.O.S.H., David August, Sascha Braemer, Niconé, HVOB, Kellerkind or Niko Schwind managed to gain a foothold in the scene thanks to early releases on Stil vor Talent. For Oliver a dream comes true: his persistence and determination make him a role model for others. While Stil vor Talent evolves from a small DIY-operation into a large independent label over the course of eight years and 120 releases, Oliver Koletzki always displays an intuition for the next big trend. He does, however, remain faithful to his penchant for melodic and emotional house music. Tracks like ‘Caje’ by Niconé & Sascha Braemer, ‘Backflash’ by Kellerkind, or ‘Dogs’ by HVOB create a stir and affirm Oliver in the A&R role. In 2012, Stil vor Talent has been acting as a label, booking and management agency, and a fashion label with numerous employees for quite some time. Oliver Koletzki jumps on a new venture and founds Light My Fire, a second label, whose emphasis lies on the dance floor. 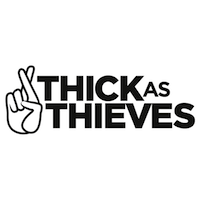 As a format, it focuses on EPs rather than albums – a good decision apparently, as ‘Mama Say’, ‘Bring Me Home’ and ‘People’ all receive great scene responses. At the end of last year a first compilation was released via Light My Fire, ‘The Future of House’ – the course is set towards the future. ‘I am O.K.’ – Oliver Koletzki says modestly. In 2014, after 26 years as a musician, he clearly achieved what he set out to do. In the spring his new album drops, he’s touring the US, and then he’ll be moving the studio and office to Berlin’s Holzmarkt. Hypothetically he could have a bit of a rest. The energy of each new track does emphasise, however, that he won’t retire any time soon: Oliver Koletzki is just getting started. LET THEM EAT CAKE!! NYD 2019 – Werribee Mansion – Words From The People! !